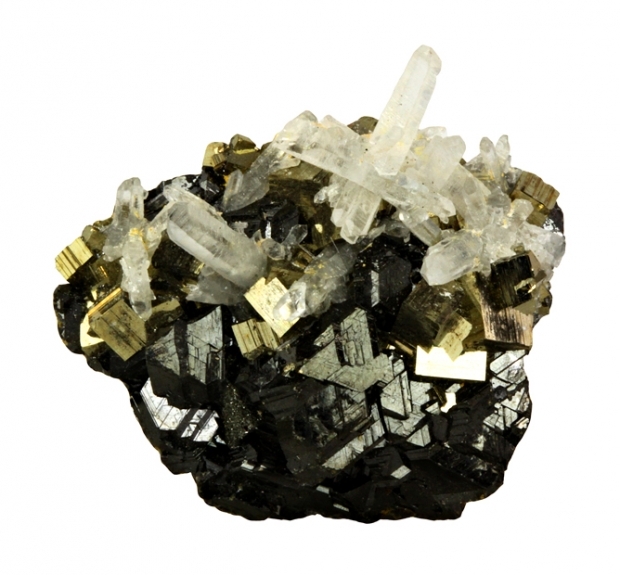 Sparkling colorless gemmy quartz crystals to 1.0 cm in length are scattered over a brilliant lustrous black crystallized sphalerite matrix. 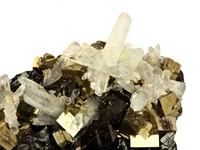 Minor bright pyrite in association. Size: 3.7 x 3.7 x 1.4 cm. Ex Gene Tribbey collection.